$8.00 per invitation suite fully assembled for a set of 100 invitations. *Assembly refers to the gluing of the matted papers layers. Colors: Seashell-Champagne, Blush-Pink, and Marsala-Red. Included are 5×7″ Triple-layered Seashell-champagne Gatefold style invitation, matted with a Blush border layer and printed on a metallic Ecru card stock. 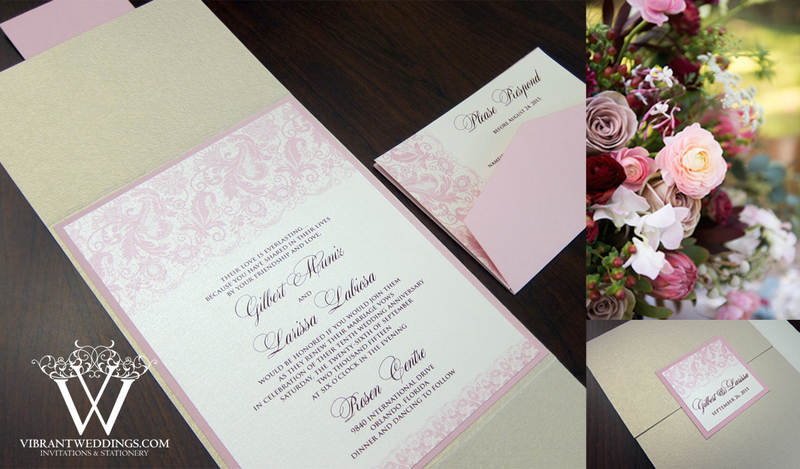 3.5×5″ Response card, 2.5×2.5″ double mated outer Square seal, and two blank envelopes in Ecru and Blush. Font color in a Marsala-wine color. 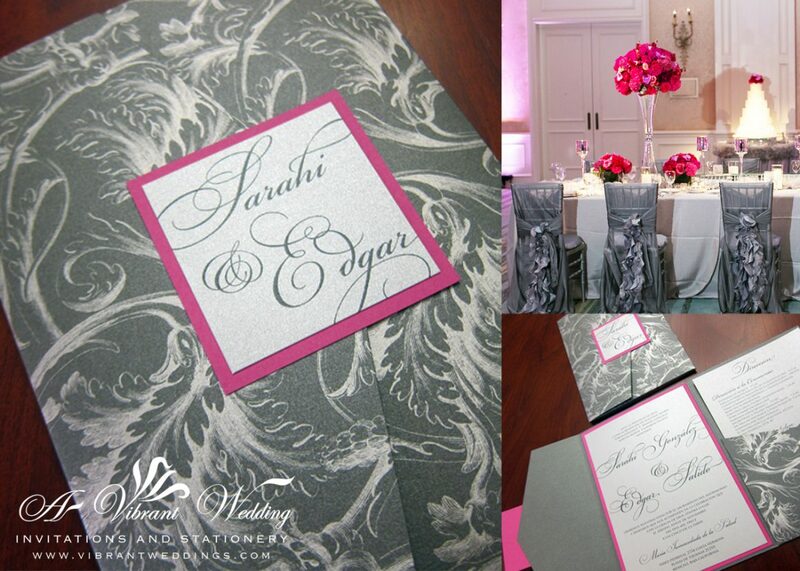 Contact A Vibrant Wedding to customize your special event invitations and matching stationery at avibrantwedding@gmail.com or (619)852-6886. We ship nationwide. 5.75×5.75″ Pocketfold Style Black and Champagne Modern Invitation.